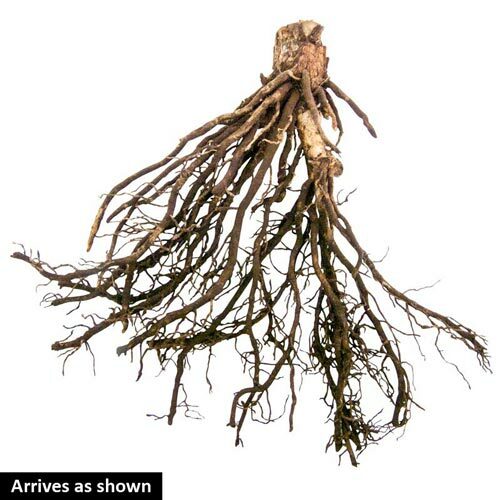 Planting InstructionsPlant with roots pointing downwards and the growing points "eyes" slightly below soil level. Winter CareNo winter care needed. May wish to mulch the first winter to protect again heaving of the plants due to freezing and thawing winter weather. Flower FormTall scapes with trumpet shaped blooms on the top 1/3 of the stems. Foliage TypeNarrowly lanceolate to heart-shaped to almost round, displaying a wide range of textures and colors. Watering RequirementLike consistent moisture but will tolerate dry soil. PruningRemove spent flower stems to tidy up plants after blooming. Unique CharactersticsVersatile and popular plant that creates interest and contrast. 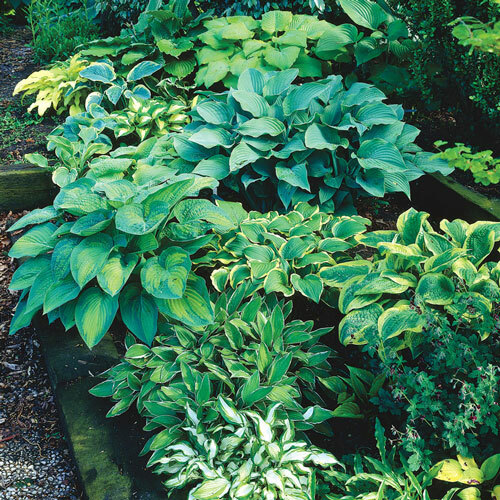 The different hosta varieties provide an assortment of textures and colors to spruce up a drab shady area. They seem to flourish with little care.